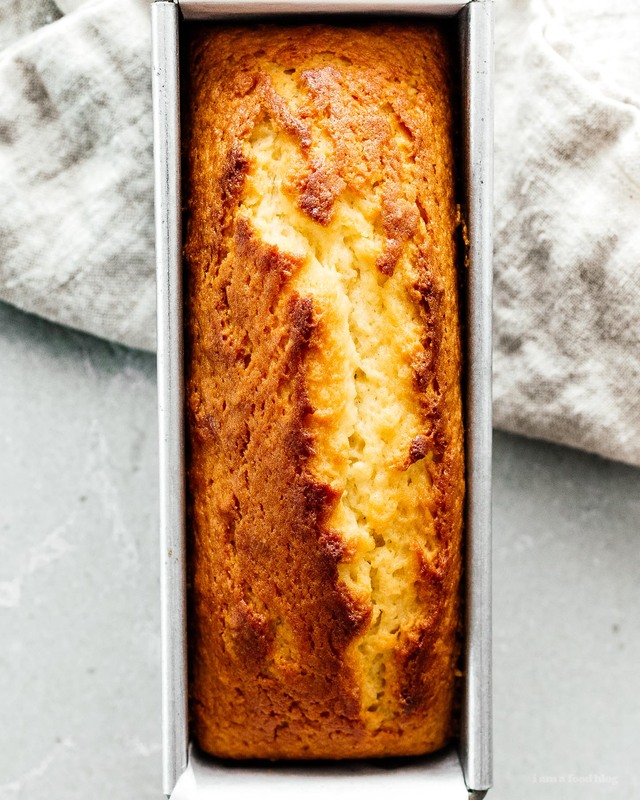 A light sweet and sturdy little lemon yogurt loaf, just like the French make. Hello! Are you looking for a perfect sized small batch loaf cake to bake for the week ahead? Maybe you want to have cake for breakfast everyday but don’t want a giant calorie bomb slice? 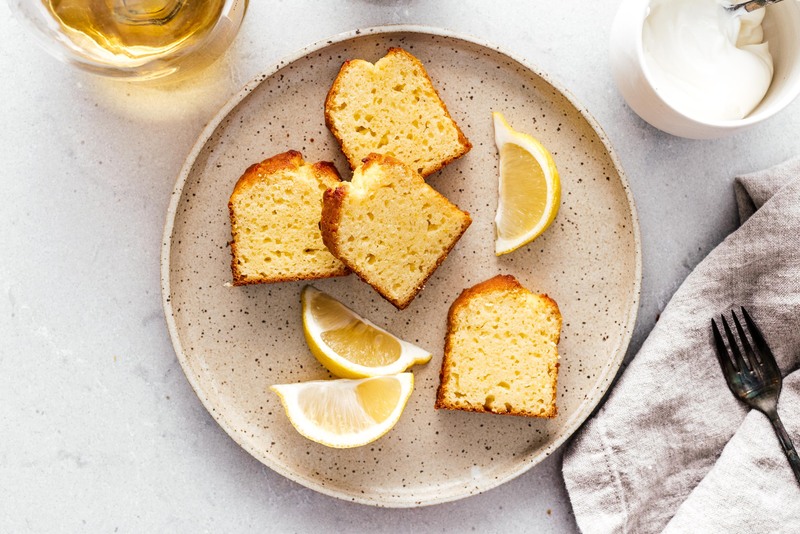 This small batch French yogurt lemon loaf cake is for you! I’m on a roll with the small loaf cakes – if you call two loafs a roll, anyway. I’m officially obsessed. I love having cake around for breakfast and since it’s smaller than your typical loaf slice, I don’t even feel bad about it. 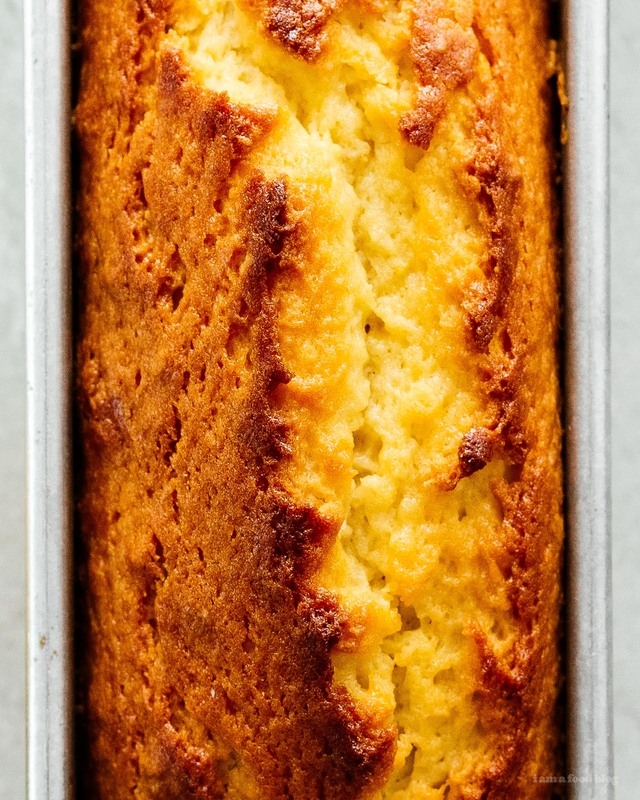 This yogurt cake (found via Bon Appetit) is nice and sturdy, easy to make, and unlike all of my other small batched recipes that use divided eggs, uses one whole egg. 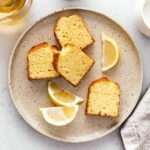 Apparently yogurt cake is a thing that all French people know how to make, according to the internet anyway. Unfortunately, I don’t have any French friends who can confirm or deny this for me. It all sounds very romantic anyway: you buy a small glass jar of yogurt from your charming neighborhood corner store and use the glass container to measure out the flour and sugar, mix everything together and bake it. It’s like the French version of Betty Crocker and it’s one of the first cakes that people learn how to make. 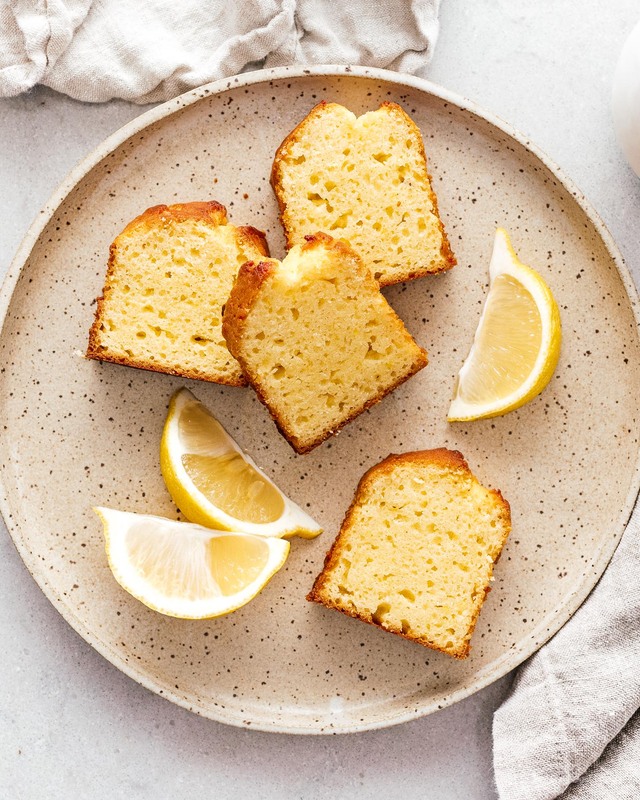 It is absurdly easy to make and there’s even a nice tactile meditative portion where you rub lemon zest into sugar to make it all lemon-y and fragrant. 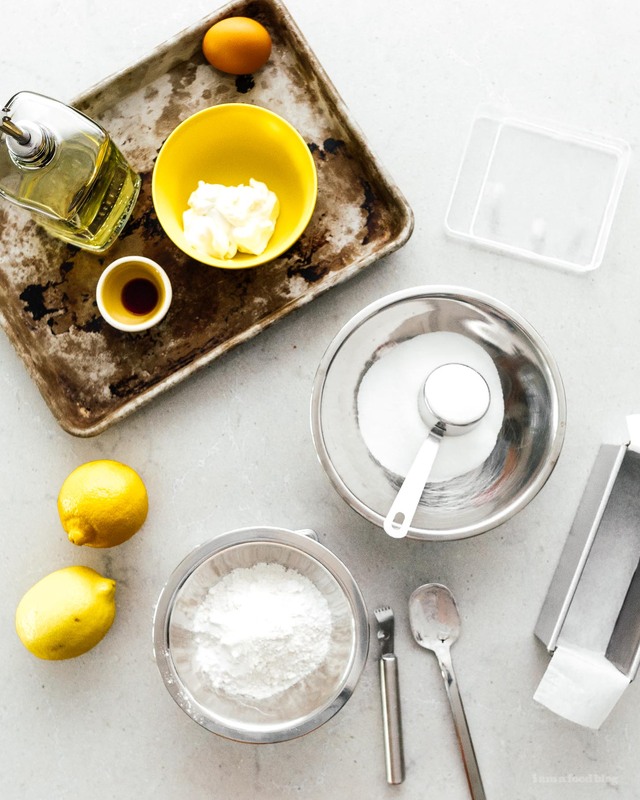 From there, it’s just a question of mixing the sugar with yogurt, an egg, and oil. Then it’s dry ingredients into wet and a agonizingly long-ish bake while your house fills up with the most amazing baking cake smell. Happy small batching friends! Please let me know in the comments if there’s anything in particular that you want to small batch. It doesn’t have to be baked goods, either. It can be solo meals or small meals for two! You’re right : le gâteau au yaourt (yogourt cake) is the first thing kids learn to cook in France ! You can add vanilla, melted chocolate or apples instead of lemon. Agnes, a long time french reader for Paris ! aww thanks for being a longtime reader agnes! and thank you for letting me know that some stuff on the internet is true! how cute that it’s one of the first things kids learn how to cook in france. i’m excited to try the melted chocolate version! i love your mini loaf pan!!! where is it from? I loved this! Perfect thing to whip up last minute on a lazy sunday afternoon! Thank you for your efforts scaling these recipes down, keep them coming! 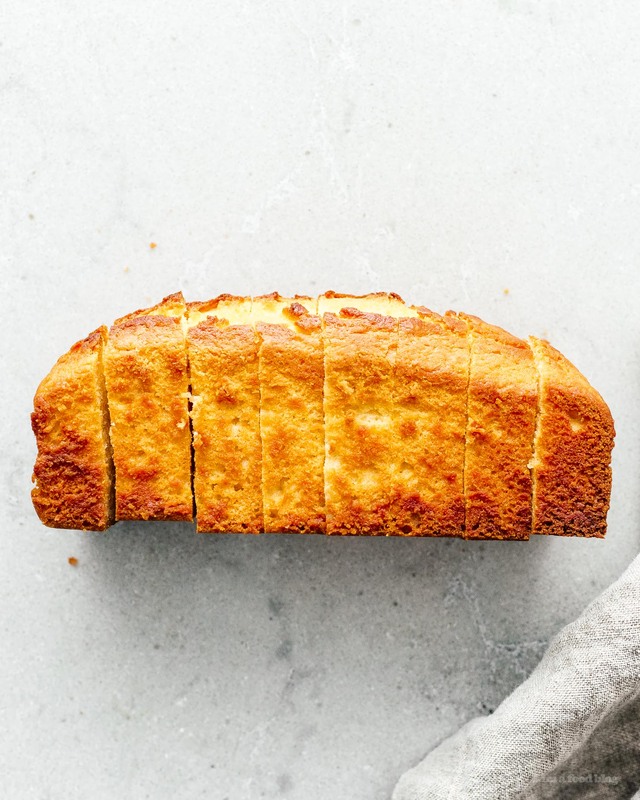 Could you post a recipe for small batch earl grey yogurt cake? can i double for family size loaf? Thought on using coconut yogurt in place of Greek yogurt? How might that go…? absolutely, it’ll work and give it a very slight coconutty flavor! Absolutely delicious. Trader Joe’s only had whole milk Greek yogurt with vanilla bean so I omitted the vanilla extract. Being happily single I appreciate the small batch recipes. Delightfully easy! I didn’t have a mini loaf pan, so I divided it between 4 standard muffin cups. They baked through in about 30 minutes. ooh four muffins :) perfect! thanks for letting me know that they work in tins and the timing!